Nakajima B6N2 Tenzan ("Heavenly Mountain") "Jill"
Produced by Nakajima Hikoki: 296 at Koizumi and the rest at Handa. 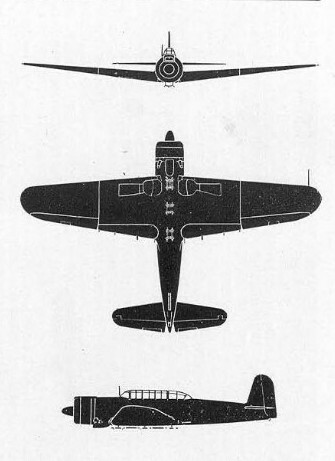 Variants The B6N1 used a 1870hp Nakajima Mamoru 11 engine and often omitted the wing gun. The Jill was Japan’s counterpart to the American TBF Avenger, and in many ways it was superior. 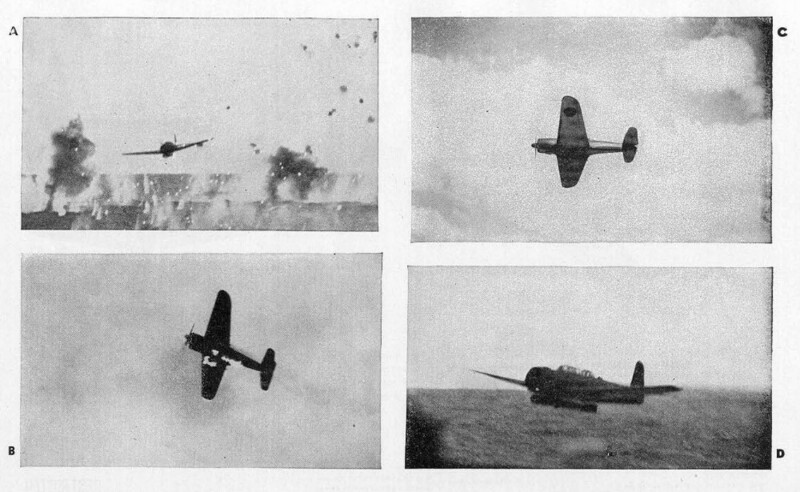 Unfortunately for the Japanese, by the time it went into combat in June 1944, good pilots were in short supply, and the Jill proved vulnerable to antiaircraft and to Hellcat fighters that its accompanying Zeros could no longer fend off. 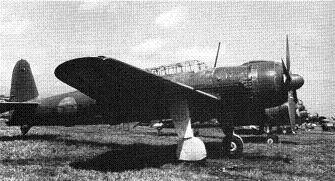 The design team, led by Matsumura Kenichi, met a 1939 Navy specification for a replacement for the B5N Kate almost entirely by using a much more powerful engine. Stowage restrictions on carriers ruled out significant improvements in the airframe, other than eliminating the forward sweep of the vertical tail surface on the Kate. Like the Kate, the Jill had no bomb bay, carrying its torpedo under the fuselage offset to the side (to clear the oil cooler.) The prototypes were ready in the spring of 1941,but it was found that the vertical tail surface had to be tilted slightly to compensate for propeller torque. 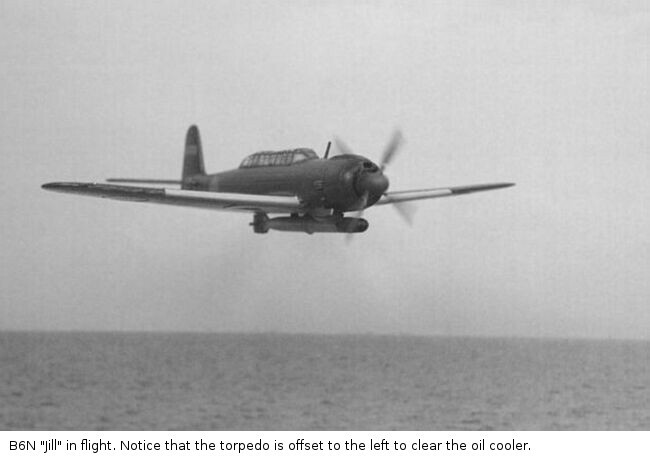 The modified aircraft handled well, but the Mamoru engine had serious teething problems, and carrier acceptance trials at the end of 1942 showed the landing hook was too weak. Carrier trials were completed in early 1943 and the aircraft was finally accepted for production. Even then, there were reports of rudders tearing loose during takeoff due to turbulence from the engine, requiring further redesign of the rudders. The aircraft first saw combat at Bougainville in November 1943, operating from land bases around Rabaul. This proved so often the pattern that the B6N3 was to have a modified undercarriage to give it a better rough field capability. However, the war ended before the B6N3 went into production. The initial design used protected gasoline tanks and rocket-assisted takeoff. The protected tanks reduced the range so much that they were eliminated in favor of unprotected semi-integral tanks. The high wing loading meant that the Jill could operate only off the largest Japanese carriers. Production was briefly interrupted when the Navy insisted that Nakajima cease production of the Mamoru engine, which required the Jill to be redesigned to take the Kasei 25 engine.